Hi, I’m Dr Emma Ruck. I am originally from Auckland, New Zealand. I studied at Massey University and completed my Bachelor of Veterinary Science with distinction in 2013. 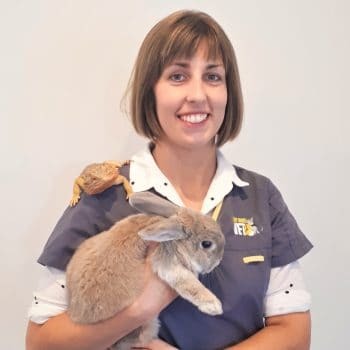 Since moving to Australia in 2014, I have worked in Perth and Adelaide and have a special interest in rabbits and other exotic pets. I enjoy surgery and am also passionate about preventative health care. 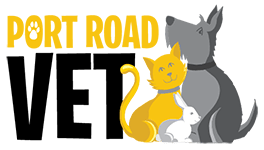 I joined Port Road Vets in 2018 and have loved it so far, especially getting to know the lovely patients and their owners. My own pet family consists of Buzz, a 8.5 year old rabbit who has followed me from New Zealand and Spyro, a bearded dragon. In my spare time I enjoy partner dancing – Modern Jive and Zouk, baking and in summer you will find me at the beach as much as possible!